Rowan Atkinson 6 January 1955 British Eric Atkinson Ella May Bainbridge ScreenWriter, Comedian, Voice Actor Comic actor and writer, Rowan Atkinson starred on the TV series 'Not the Nine O'clock News' and 'Blackadder'. 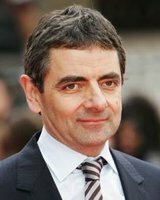 He is best known for his in famous role as Mr. Bean in the television series and 1997 feature film of the same name. A list of popular Hindi Rowan Atkinson quotes are given below.